This week’s episode focused on medical intervention, and how expectant mothers can avoid them. Cheryl and Carmela begun the discussion by talking about the fact that 1/3 of U.S. mothers give birth surgically, while half of all labors in the United States are induced or augmented with medication. Our first guest was Nicette Jukelevics, childbirth educator, researcher, and author of Understanding the Dangers of Cesarean Birth: Making Informed Decisions. Nicette talked with us about the different ways in which mothers can avoid medical intervention during labor, as well as what measures are important for expectant mothers to take in order to find supportive care providers. Nicette discussed the widespread usage of interventions, from IV’s, to epidurals, to episiotomies, to labor inducers, as well as how the usage of these interventions may increase risk for more serious interventions such as Cesarean sections. Nicette argued that this model of routinely used intervention is not the only way, and that research shows the reduced intervention combined with evidence based care is actually linked to the best birthing outcomes. Nicette also provided our listeners with a variety of different aspects of birth and care for expectant mothers to consider. She noted that when thinking of what questions to ask one’s care provider, it is important to hone in on what you are expecting from a birth and what needs must be met by that type of a provider. 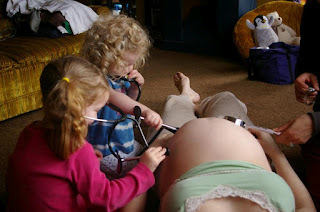 For example, Nicette noted that in the case of a midwife assisted birth it was important to find out the midwife’s back up plans if a complication were to arise, while in the case of a hospital birth it was important to find out the content of the hospital’s admission and consent form in order to better understand their routine protocol. Nicette also talked to us about the benefit of having a doula, specifically in a hospital setting. 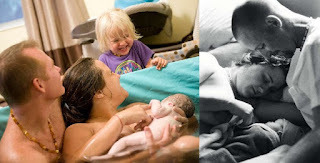 Nicette described a doula as a specially trained birth companion who provides continuous emotional and physical support during birth and immediately postpartum, and noted that women who have doulas often report having faster births with less intervention. Our discussion with Nicette ended with a discussion of C-sections. Nicette pointed to many scheduled C-sections being related to third trimester ultrasounds, which have not been proven to improve health outcomes, but have led to more scheduled C-sections due to measurement of baby’s size which categorize them as being “too large” for vaginal delivery. Nicette also discussed breeched birth, and despite the fact that 65% of external versions are successful in getting a baby into the traditional birthing position, many people do not know about this, and instead go along with a scheduled C-section without trying it. Nicette also talked about the need for more doctors who are trained in birth breeching in the US, and that breeched birthing attempt should attend to position of breech and health of mother and baby, and not necessarily jump to planned C-sections as a first option. We also discussed with Nicette the fact that anyone has the right to refused a C-section, and that preforming one on someone who does not consent is illegal. We ended our discussion with Nicette on the topic of VBACs, or vaginal births after Cesarean, and encouraged women who are attempting a VBAC to make sure that they have a care provider who is supportive of their wishes. Our final guest was Mary Catherine Hamelin. Mary talked to us about her own success in obtaining the natural vaginal birth that she wanted in a hospital setting. She noted that the most important aspects to achieving this goal are to be informed, confident, and to have support. She also described the ways in which her own support in the hospital model inspired her to become a doula who could in turn help other receive this same kind of care. Join us on Tuesday, October 23rd at 6pm as Laura explores a silent crisis in America: our growing maternal mortality rate. 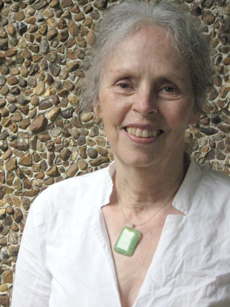 She will be joined live by the nation's foremost expert on the subject, the mother of midwifery and Safe Motherhood Quilt Project creator Ina May Gaskin. We will also hear from Lauren Young, running her second New York City Marathon in honor of her sister Pam; and we'll play our exclusive recorded interview with supermodel and super maternal health advocate Christy Turlington Burns, founder of Every Mother Counts. Tune into WSLR 96.5 LPFM or online at www.wslr.org tonight, Tuesday, October 23rd at 6:00pm ET. The program will also available later in the evening via podcast on our website at maternallyyoursradio.com. We are thrilled to announce the launch of our new book club: Books Over Brunch! Every two months, the Maternally Yours Collective will select a new book to read, discuss, and hopefully prevent from splashes of coffee, tea and homemade jam at our favorite morning eatery, Station 400. Our first Brunch will take place Sunday, December 2nd at 10:00am. We hope you'll join us for books, brunch, and mama time! Three of our favorite things! Our inaugural selection that we'll all be reading between now and December is Into These Hands: Wisdom from Midwives. It is a comprehensive anthology of the life stories of 25 remarkable women who have dedicated their lives and careers to the path of midwifery and social change. Each author has contributed significantly to modern childbirth reform and shaping maternity healthcare in America. Each midwife shares a lifetime of accumulated wisdom about what really matters to women of childbearing age. This wisdom has been gathered in over 800 years of working with mothers, newborns and families while assisting in over 35,000 births. The authors are among the best-known and best-loved midwives in America. Our sisters at The Gathering Place, a pregnancy, childbirth, and parenting resource center in Miami, Florida, have generously donated one copy of this beautiful book, signed by its editor, midwife Geradine Simkins, to one of you lucky listeners. To win this treasure, simply leave a comment on this post telling us your recommendation for a future book club selection. The winner will be chosen at random and announced on next week's show. Good luck! All sales of this book that are purchased through Maternally Yours and The Gathering Place will support the construction of a much needed new birth center in Miami. Please contact us if you are interested in purchasing your own signed copy for $25. Thank you all, and happy reading! First off, this week we introduced the Maternally Yours “Books over Brunch” meeting which we will now be holding every other month at Station 400. 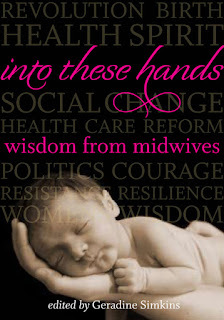 Our first selection is Into these Hands: Wisdom from Midwives, and our first meeting will be December 2nd at 10am. It is important to start, first off, by noting that the contents of tonight’s show may be particularly difficult for some listeners. The subject of tonight’s show deal with pregnancy and infant loss, and ways in which loved ones and the community can work to support someone who has been through this very trying experience. We discussed the stages of grieving that someone mourning a loss of pregnancy or an infant might experience, and the ways in which women have to work in order to achieve a “new normal” after such a loss. Cohostess Cheryl talked to us about her own experiences with pregnancy loss and as a pregnancy loss doula. She talked about the ways in which her own loses affected her future pregnancy, and how she has witnessed these losses having an effect on other women as well. 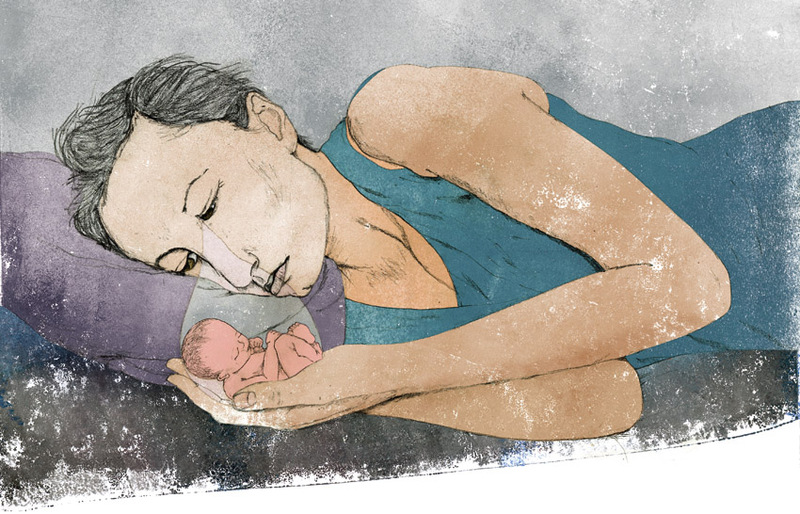 In particular, she highlighted the fear and anxiety that many women may feel, as well as a lack of attachment and fear of bonding to one’s pregnancy that is also common. In particular, Cheryl talked about her experiences have highlighted a need for continued support of individuals grieving a pregnancy or infant loss, and the ways in which individuals must be free to grieve on their own terms, in their own way, and for their own amount of time. Our next guest was Arielle Carrillo. 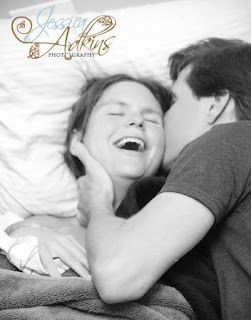 Arielle shared her own experience with third trimester loss of her daughter. Arielle walked us through her truly impactful experience, from hospital care, to dealing with the after effects of her loss. She shared the ways in which her son helped get her through the difficult time, and how her friends, family and community encouraged her healing process. In particular, she discussed the need for loved ones to reach out directly to someone who has gone through this experience, helping them to take care of everyday things like food and cleaning which they may not be focused on or able to do because of what they are going through. Arielle also noted that you cannot have a stillbirth at home in Florida, however Christina Holmes of Birthways Family Birth Center noted that let us know that a stillbirth can be performed at home with a Licensed Midwife in the home setting now, provided that legal and medical arrangements are made in advanced. Our final guest was Tamara Taitt of The Gathering Place Maternity Center in Miami, Florida. She talked to us about the usefulness of support groups for some individuals when grieving pregnancy and infant loss. She also talked to us about the ways in which a support group could be started in our own area, specifically through Share. On top of stressing the helpfulness of support groups, Tamara also talked about the ways in which main supports within the family unit needs to be emotionally and physically present, as well as acknowledging that while you can’t know what they are going through, you can be there for them. 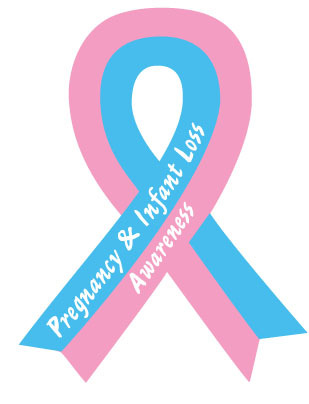 Maternally Yours participates in Pregnancy and Infant Loss Remembrance Day on Tuesday, October 16 at 6pm ET. Cheryl and Laura will discuss ways to support families through loss with a pregnancy loss support group facilitator as well as guests who have experienced these painful. With more than one in four pregnancies ending in loss, be prepared for a show full of emotion as we explore how healing is enhanced by community. Tune into WSLR 96.5 LPFM or online at www.wslr.org tonight, Tuesday, October 16th at 6:00pm ET. The program will also available later in the evening via podcast on our website at maternallyyoursradio.com. The focus of tonight’s show was how to become a midwife. We focused on the three main categories of midwives: Certified Nurse Midwife (CNM,) Licensed Midwife (LM,) and Certified Professional Midwife (CPM.) We also noted, however, that there are other midwives as well, and that historically speaking people have practiced midwifery long before schooling or licensing. Our first guest was Suzan Ulrich, who talked to us about Certified Nurse Midwives. CNM’s are midwives who function as primary health care providers for relatively healthy women having low risk births. In most states, CNM’s are required to possess a minimum of a graduate degree, and are also required to have an active Registered Nursing license. Dr. Ulrich, who is currently the Associate Dean of Midwifery and Women’s Health at Frontier Nursing University talked to us about the qualifications of a CNM, as well as the distance education program at Frontier. She noted that it usually takes around 6 years of education to become a CNM, and that CNM’s having training both as nurses and as midwives, stating that this gives them the foundation to provide total care. She noted that because of this, CNM’s often offer services which many may not associate with midwives, such as regular gynecological exams and also menopausal support and care. She also discussed the major role that hospital guidelines have in a CNM’s ability to practice medicine within a hospital setting, and state issues such as Florida’s requirement that CNM’s have 1 million to 3 million dollar malpractice insurance while other birthing care providers, including OB’s, are not required to have this. Next we talked to Kristen Schuchmann. Kristen, a Certified Professional Midwife herself, talked to us about CPM certification. 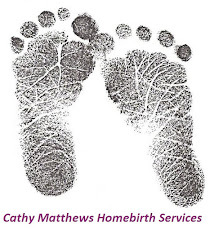 A Certified Professional Midwife (CPM) is a knowledgeable, skilled and professional independent midwifery practitioner who has met the standards for certification set by the North American Registry of Midwives (NARM) and is qualified to provide the Midwives Model of Care. The CPM is the only midwifery credential that requires knowledge about and experience in out-of-hospital settings. Christen talked mainly about the international school of midwifery that she is a part of, Charis Childbirth, and the important care that they give to women internationally, particularly in third world countries. Finally, we talked to four student midwives: Haddie Katz, Catherine Bressington, Lizzie Norton, and Katherine Jackson. Haddie attends the Florida School of Traditional Midwifery, and is apprenticing with Sarasota’s own Birthways Family Birth Center, while Catherine, Lizzie, and Katherine joined us in studio, coming all the way from University of the West of England in Bristol. Each of these individual shared their own reasons for becoming a midwife, and Catherine, Lizzie, and Katherine talked to us a little about the differences between UK and US midwife certification. Join the Conversation tonight, October 9 at 6pm ET as Carmela and friends discuss things you should or may want to know about midwifery education here and abroad.We will welcome International Midwifery students visiting from the United Kingdom as well as Students and Educators from our own backyard. Tune into WSLR 96.5 LPFM or online at www.wslr.org tonight, Tuesday, October 9th at 6:00pm ET. The program will also available later in the evening via podcast on our website at maternallyyoursradio.com. ANY PLEDGE - Shoutouts on Facebook and Twitter and our eternal gratitude. This week on Maternally Yours we had a very special show birthday show! We shared our local midwives’ birth stories, celebrated our 1 year anniversary, and participated with the other wonderful WSLR programmers in the Fall Membership Drive. We also want to encourage our listeners to come see the BIRTH: A Play By Karen Brody. Performances will on October 5th and 6th at 7pm, and October 7th at 4pm. Tickets are $10 in advance and $12 at the door, and are available at boldaction.org/attend. Special rates for seniors, military, children and group rates are available, and New College of Florida students are free with student ID. Special thanks to Ivy Augsburger, Lara Costa, Autumn Venafro, David Brain, Leslie Furtick, Lucy Fry, Rosemary Birthing Home, Harmony Miller, Sharon Lytle, Daniela Whitman, Ciera Coleman, Christina Holmes, and Danielle Stevens! Join the Conversation TONIGHT, October 2 at 6pm ET as we welcome your BIRTHday wishes of membership to WSLR 96.5 LPFM Community Radio, the Voice of your Village, in our traditional way: by sharing BIRTH STORIES! Tonight we are honored to bring you the stories of the births of two of our community's midwives, Harmony Miller of Rosemary Birthing Home and Christina Holmes of Birthways Family Birth Center. Get your tissues and have that phone ready because we want to hear BIRTHday wishes from YOU, as Maternally Yours celebrates exactly ONE YEAR on the airwaves. Please call in on TONIGHT to support our show, and community radio! You can pledge your support during the show in any amount by calling (941) 894-6469 or (941) 954-8636. You can also make your pledge now or any time this week at wslr.org/make-a-pledge.